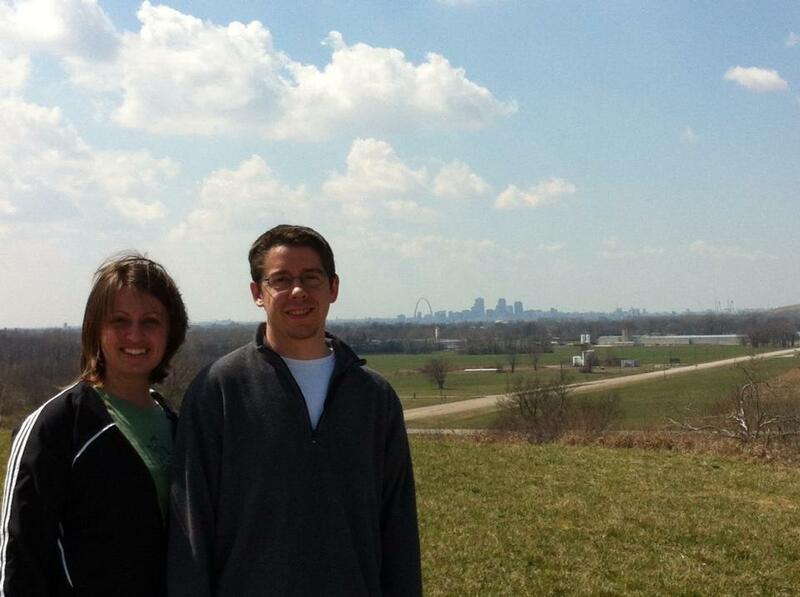 Doug and I take in the view from the top of Monk’s Mound at Cahokia Mounds World Heritage Site. You can see the St. Louis Arch in the background. Have you ever dreamed of visiting something iconic, inspirational, and culturally significant to the history of humanity? The Pyramids of Giza. Persepolis in Iran. The archeological remains of Pompeii in Italy. The Temple of Apollo Epicurus in Greece. The Taj Mahal in India. Stonehenge in Northern Ireland. In 1994 the United Nations Educational, Scientific and Cultural Organization (UNESCO) launched an initiative to compile a list and work on the preservation of the most important cultural and natural sites in the world. This list of World Heritage Sites is awash with one jaw-dropping wonder of the world after another. It includes all of the sites I listed in the paragraph above and more. 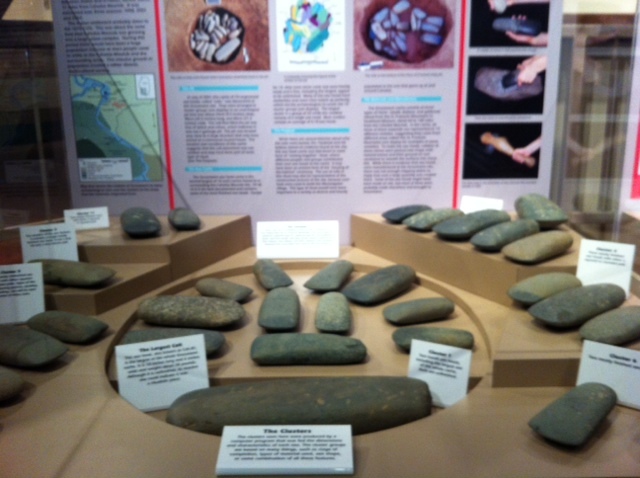 Stone artifacts/axe heads found in various burial pits near Cahokia. Now to visit the amazing sites I listed above would take a whole lot of time and a whole lot of money. But what if a true wonder of the world, a record of the technological achievements of man, a significant stage in human history preserved in the archaeological record, and an exceptional example of a civilization that has disappeared was located just two hours from where you’re sitting now? Don’t you think you owe it to yourself to go and check it out? Ladies and gentleman, I give you: Cahokia Mounds in Collinsville, Illinois. 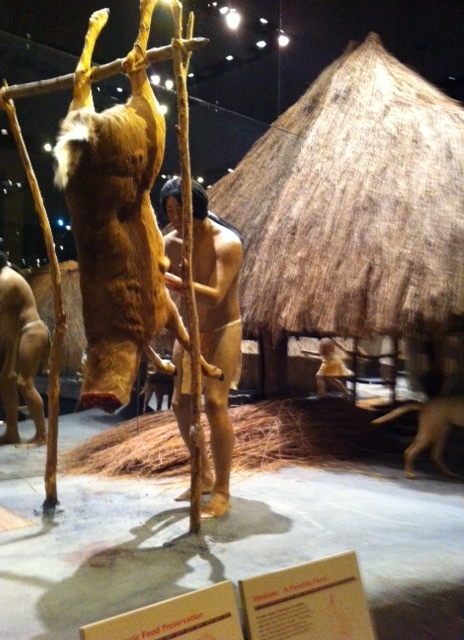 My own trip to Cahokia (pronounced Ka-Hoke-ee-ah) came from one simple truth: we were tired of being in the car. My friend Doug and I had just run the Run the Bluegrass Half Marathon in Lexington, Kentucky and were headed home. Over 5 hours into our trip home, I spotted a brown historic site marker on the highway and exclaimed, “We’re right by Cahokia Mounds! I’ve always wanted to see it!” Doug made an impressively quick decision and an equally quick lane-change with the car, and just a few miles down the road, we arrived at the park. Cahokia Mounds is the largest prehistoric Indian site north of Mexico. At its height, the chiefton-based civilization covered 4000 acres, included numerous villages around the main city structure, and was home to nearly 20,000 people. These Mississippian people flourished from 800 AD to approximately 1200 AD and had highly structured communities with a complex social system which included art, agriculture, community, trade networks, and many scientific and engineering achievements. 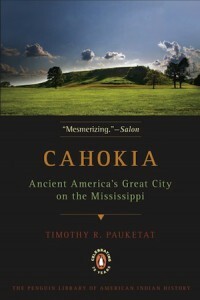 In AD 1200, Cahokia was larger than London. 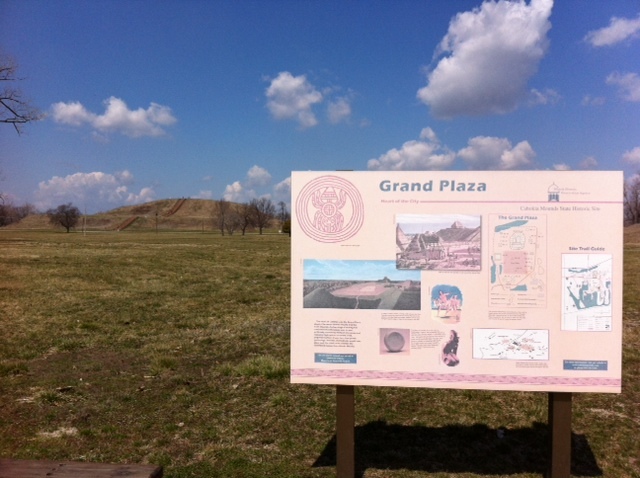 The Cahokia Mounds site today, as it was in AD 800, is organized around a central Grand Plaza and the largest earthen pyramid in the US, Monk’s Mound. Monk’s Mound and the 100+ surrounding mounds are made of earth and wood using stone and wood tools. The earth was transported primarily on people’s backs in woven baskets. It is estimated that Monk’s Mound- with a base that covers 14 acres and a height of 100 feet- is comprised of over 22,000 cubic feet of earth. Anyone else’s back sore thinking about moving that much dirt? Monk’s Mound was a cultural focal point and once was topped with a massive building where the most important chief would run the government and conduct ceremonies. Other mounds were built for other purposes. Most contained burials, and some may have just been built to elevate the residence of important figures in the society. Today some of the mounds have been excavated and amazing artifacts have been recovered and preserved. Infographic at the main plaza. Monk’s Mound can be seen to the left in the distance. All of the mounds have been cataloged and numbered. Of particular interest is Mound #72. The excavation of this small mound found over 300 ceremonial burials, mostly of young women in mass graves. Atop of this, an elite male, estimated to be 45 years old was buried on a platform of flat beads made out of shells. The shells were arranged around the body to resemble an eagle or hawk. There is a recreation of this chief’s burial inside of the park’s interpretative center which is truly amazing. The interpretive center of the park is very nice and the displays are engaging for kids and adults alike. There is no admission to the center, though there is a suggested donation of $4 for adults, $2 for kids and $10 for families. Along with many wonderful artifacts like tools, beads and pottery, there is an auditorium which shows a film every hour as well as a recreated village to explore. Since Doug and I had stopped on the way home from an exhausting weekend, we did not have the time to explore the true breadth of the park, however we did take the opportunity to climb to the top of Monk’s Mound. Under cloud dotted skies, the view from the top of the mound was vast and gorgeous. The St. Louis Gateway Arch and skyline, 7 miles away as the crow flies, was clearly visible to the southwest. Farm fields and lakes spread out to the north. And all around, you could see tops of the mounds which made up this ancient city. It was easy to imagine how inspiring this vantage point would have been to the people who lived here. “Ancient America’s Great City on the Mississippi” by Timothy R. Pauketat is available at the Quincy Public Library. The top of Monk’s Mound is made even more significant by its placement in relation to the rest of the structures in the society. Its crest falls at the point at which the sun rises during the equinox, making a strong connection between the chief and the life-giving sun. Another unique structure at Cahokia is a sun-calendar known as “Woodhenge.” This site, discovered in the 1960’s, was built of concentric circles of enormous cedar posts that aligned with the sun at the equinox, and would have probably been important as both markers in the calendar and for ceremonial gatherings. One of the rings of “Woodhenge” has been recreated at the park and can be viewed both up close and from the crest of Monk’s Mound. Also, a special hello to Amanda… who we met on the top of the pyramid. 🙂 Hope your adventure was fun and educational!